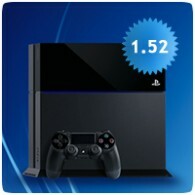 Sony has released PS4 Firmware 1.52, which is an incremental update that “Improves System Stability”. The update should fix issues with games that crash often. The update should have already been downloaded to your console via the Auto Downloads system, but you can manually update the software from the Settings menu. You can also download the update to USB stick from this page and install it manually. The update is mandatory so you’ll be asked to download and install it the next time you try and connect to PSN.